These do have a bit of flour in them, but if you’re gluten-free or doing the paleo thing, substitute almond flour, and it will be just as good. I guess technically these are a side dish and would be great as the starch alongside a main course. But I’ve had them as a main dish along with sauteed greens or a salad. They’re definitely versatile and would be appropriate for breakfast, lunch, or dinner. As with most of my root-vegetable recipes, you can use pretty much any combination of root vegetables you have on hand. 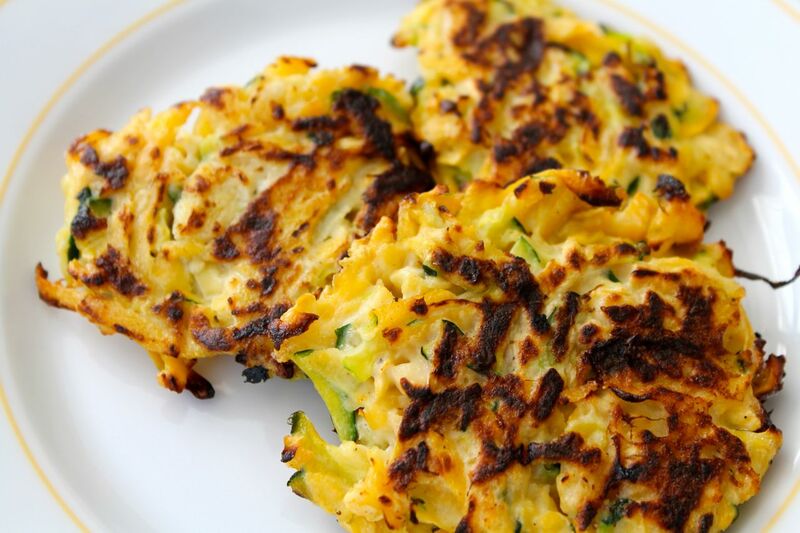 Straight-up zucchini would be good, using some sweet potato would be delicious. Whatever. Use your imagination. It took some time to prepare these, mostly just because it takes a while to grate vegetables. But the nice thing about it was that I fried up a bunch of them and saved extras in the fridge. They were really easy to re-heat (in the convection oven, baking on 350 until warm) and have as a snack or as part of a quick, last-minute meal. 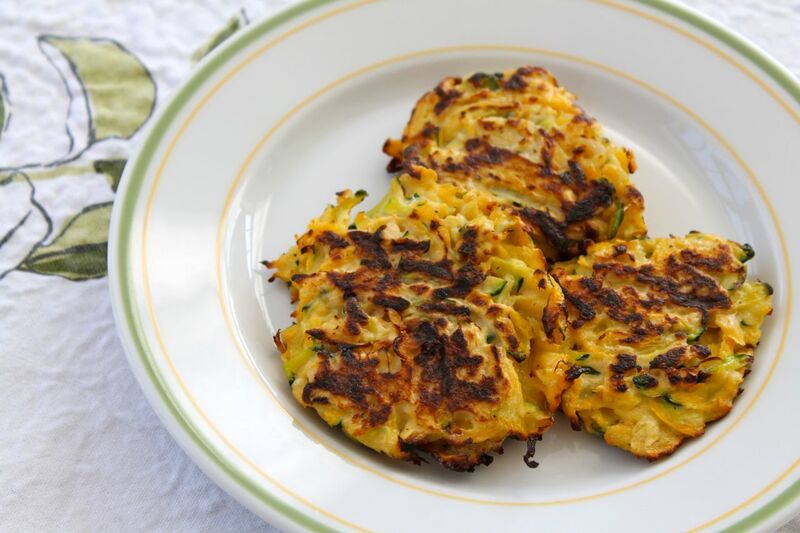 You may like these served latke-style with sour cream and apple sauce. I preferred them with ketchup, like hashbrowns. Yum. Grate zucchini and rutabaga with a medium-sized grater. Add a dash of salt. Place shredded vegetables in a clean paper towel and squeeze to get as much liquid out of it as possible. Place in a large bowl and add beaten eggs, garlic, flour, cheese, and fresh ground black pepper. Mix well. Heat 2 tablespoons of cooking oil over medium heat in a large skillet, and wait for the pan to get hot. Once oil is shimmering, add spoonfuls of mixture to the pan. Fry until golden brown, about 2-3 minutes per side. Place on platter lined with paper towels to soak up any grease. Serve with sides of salt, pepper, sour cream, applesauce, and/or ketchup.